Every year my parents host Thanksgiving, it’s always a huge crowd of friends (since our family is on the east coast) with an abundance of food & drinks. 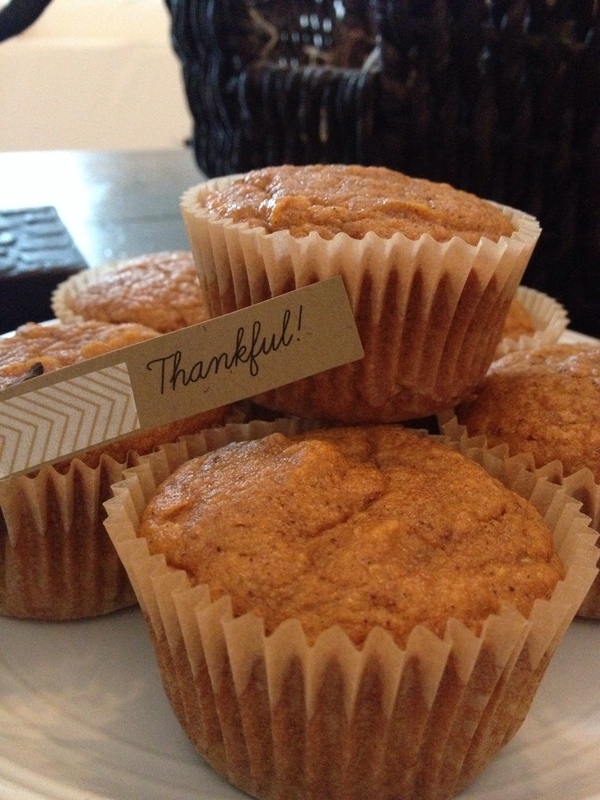 Our one family friend always brings these delicious pumpkin muffins and I’m always dying for the recipe. This year, they were so gracious to share the recipe since we decided to travel to North Carolina where my parents recently got a house and do Thanksgiving on the beach. It was my duty to make the muffins and I hope I did them justice (with just a few little tweaks to make them gluten free). Let’s just say I had to hide them because I’m worried there won’t be any left for Thanksgiving tomorrow! Enjoy! Preheat oven to 325°. Prepare muffin tins with liners. In a medium bowl whisk together the flour, salt, baking powder, baking soda, cinnamon, ground cloves & nutmeg. Set aside. In the mixer, beat together sugar with butter on medium speed until just blended. Add eggs one at a time beating well after each addition. Continue beating until mixture is very light and fluffy. On low speed, beat in flour mixture until combined. Pour batter into muffins tins. Bake muffins for 25-30 minutes until toothpick comes out clean.